With VJ-Day still barely a fresh memory, Americans quickly found that the contours of the post-war world precluded enjoyment of the long-awaited peace. By the spring of 1947, the United States was fully engaged in a global power struggle with her former wartime ally, the Soviet Union. The causes of the Cold War were complex and dated back to the beginning of the century. 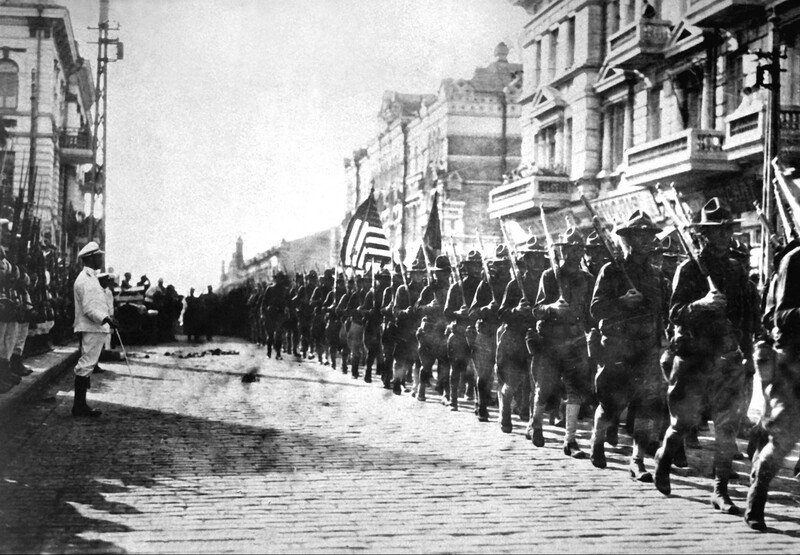 During the post-revolutionary Russian Civil War (1917-1922), the United States and other western countries aided the anti-communist White Army. And although the U.S. gradually accommodated itself to the victorious Soviet regime (Roosevelt finally afforded the USSR official diplomatic recognition in 1933), that first antagonistic interaction would prove prophetic. Through the 1930s each country remained wary of the other: in America, reverberations of the post-war red scare continued to shape a culture of anti-communism while Soviet ideology portrayed the United States as a bastion of imperialism. The German invasion of the Soviet Union in June of 1941 swiftly brought the two countries together — at least at policy-making levels. Despite the uncomfortably-recent Molotov-Ribbentrop Pact allying Nazi Germany and the Soviet Union (an agreement which enabled the 1939 joint invasion of Poland and the beginning of World War II in Europe), Roosevelt and Stalin rapproched, the former beginning a steady flow of lend-lease goods which would supply nearly eleven billion 1947-value dollars worth of war materiel and food by the spring of 1945. 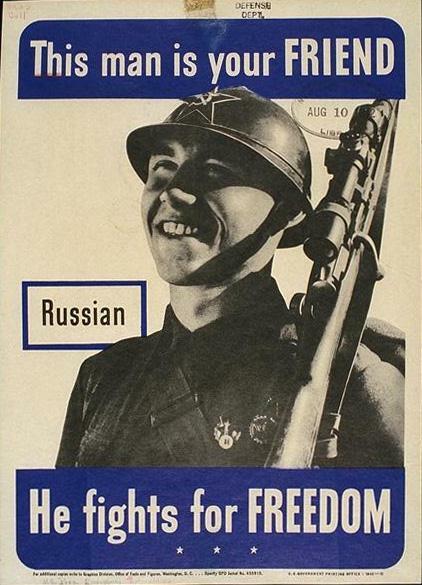 Between 1941 (particularly after Pearl Harbor in December) and 1945, the American wartime propaganda organs sought to portray the Russians — so recently enemies — as fast friends and allies to all freedom loving peoples. The marriage was one of convenience; Roosevelt and Stalin’s shared opposition to Hitler would only temporarily subsume the hostility between their two nations, not abrogate the fundamental differences between them. Indeed, over the course of the war a series of disagreements signaled the ongoing tension. While the principles of the Atlantic Charter illustrate the fundamental nature of the Western-Soviet split, other wartime events contributed as well, especially Stalin’s perception that the Western allies delayed the long-promised invasion of Nazi-occupied Europe, leaving the Soviets to face the Germans alone. The atrocious Soviet losses on the Eastern front lend some emotional credence to this feeling — over ten million Soviet soldiers died in the Great Patriotic War — but although the invasion of Normandy in June of 1944 was likely delayed by Churchill’s insistence on a North African campaign, it is difficult to accuse of Western allies of outright stalling. Other wartime disagreements, such as the disposition of post-war Eastern Europe established at Yalta, made the prospect of an enduring post-war U.S.-Soviet friendship difficult — although not impossible — to sustain. 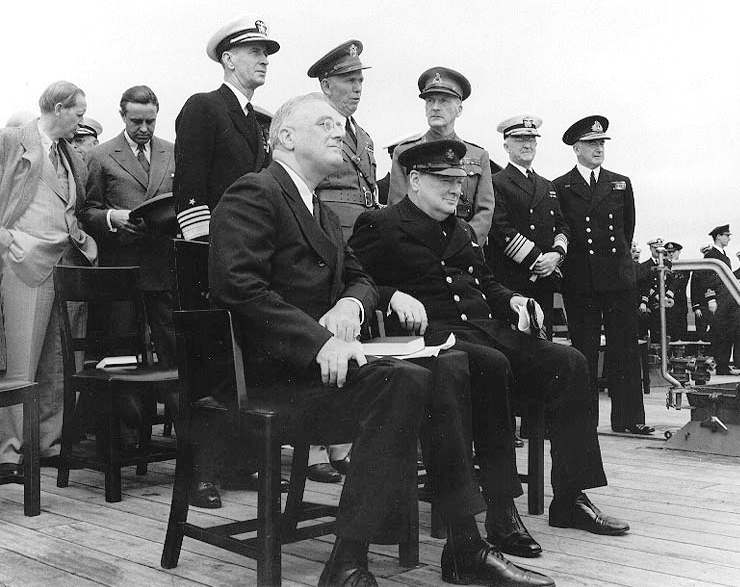 Regardless of Truman’s motivation for employing the atomic bomb against Japan (it’s more probable that both military necessity and strategic concern played a role in the president’s decision), by August 1945 the rift between the superpowers had already manifested itself in several ways. On May 11, Truman had abruptly ordered the cessation of all Lend-Lease aid to the Soviet Union; the order resulted in a brief but intense spat. The USSR had, Stalin argued, relied on the continuing flow of goods for its economic planning. Aid was restored soon after, but the program only lasted until late September. These actions were well known in the west and, along with Soviet resistance to many of the institutions of the post-war world order, they began to trigger a security dilemma at the highest levels of American policymaking. The next two years saw a gradual yet steady stiffening of the boundaries hastily drawn at the end of the war as diplomatic relations spiraled downward between the two superpowers and their allies. 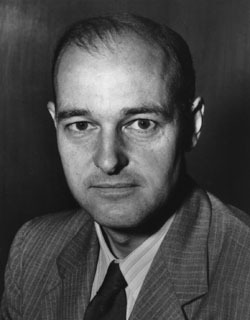 In February 1946, George Kennan, the Deputy Chief of Mission to the USSR from 1944, composed the “Long Telegram” in response to a Treasury Department query as to why the Soviets were refusing to cooperate in the establishment of the Bretton Woods financial system. In a nearly eight-thousand word response, Kennan described the historical and ideological inputs which shaped the psychology of the Soviet leadership. Later, the telegram was reworked into “The Sources of Soviet Conduct,” published in Foreign Affairs in 1947 (it’s from that later document I’ll be quoting). it is clear that the main element of any United States policy toward the Soviet Union must be that of a long-term, patient but firm and vigilant containment of Russian expansive tendencies. How then did the Baptist General Conference respond to the emergence of the Cold War as the organizing reality of the post-war world? Like most Christian denominations, the Baptist General Conference was deeply opposed to the communist system. While other Americans might have viewed Soviet communism’s antipathy toward democratic rights and a free and open society as the primary reason to oppose the ideology, for Conference Baptists the issue was one of first principles. Marxism-Leninism’s inherent materialism, its insistence that dialectical class struggle — not divine providence — was the engine of history, and its atheism all directly contradicted Christian teaching and it was from a Christian logic that the BGC attacked the Soviet Union, particularly before the early 1950s (more on this later). For the Conference, opposition to communism and anti-Soviet sentiment did not spring forth at the close of the war, as it did from American policymakers, but was rather rooted deeply in the prewar and wartime experience of the BGC. Indeed, until the intensification of the Cold War at the beginning of the 1950s, the Conference reaction to Russian and Chinese communism was one of remarkably constant opposition. If the BGC’s criticism of the Soviet Union and communism was attenuated at all during the war years, it came by way of disengagement rather than active softening; from the latter half of 1942 through 1944, the Standard simply printed fewer condemnations. 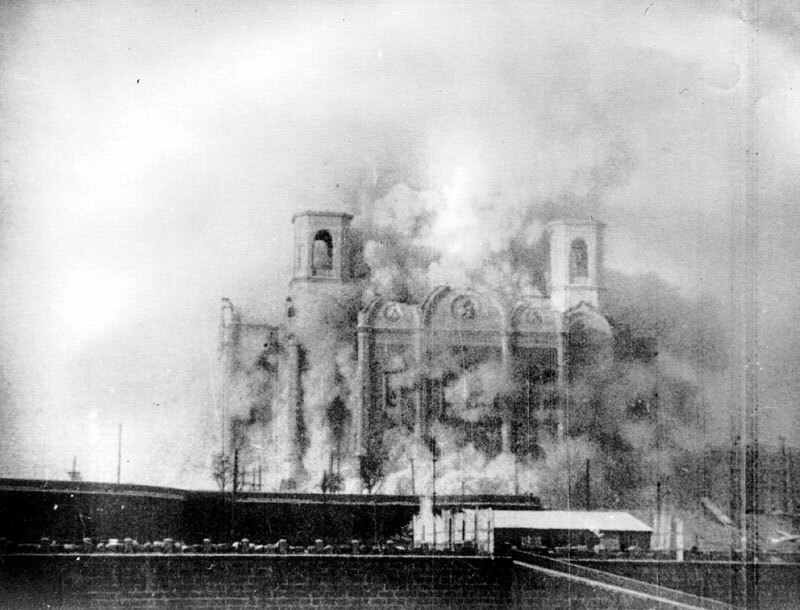 For Conference Baptists, the years 1945-47 did not mark the beginning of the Cold War; BGC opposition to the Soviet Union and communism had antedated the U.S. government’s Cold War by nearly three decades. Using religious language, the BGC characterized the Soviet Union as an atheistic monolith bent on undermining the Christian faith. Thus, although the transition from the wartime Grand Alliance to the early Cold War marked a distinct shift in how the American government viewed the Soviet Union, no such change is evident in the Conference. 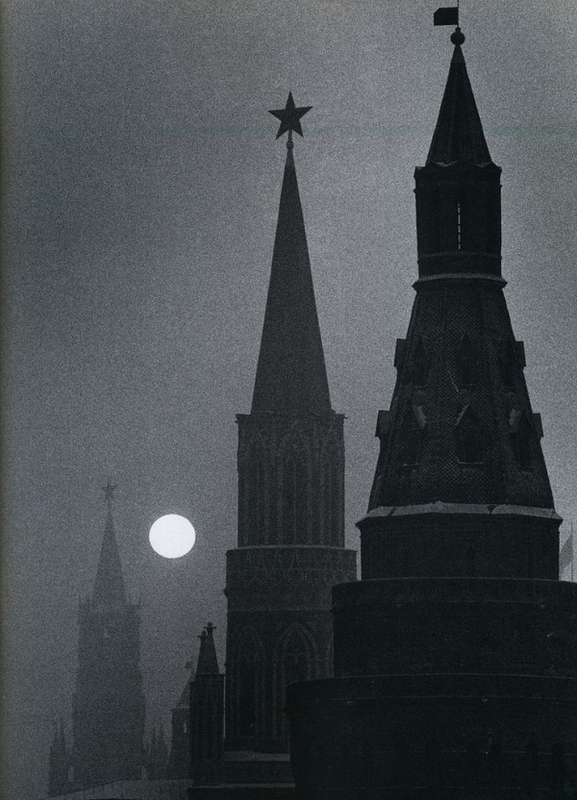 They went to nearby Harbin, part of a tide of White Russian supporters and anti-communists fleeing the Bolsheviks. A city in north-central Manchuria, Harbin had come to prominence in the 1890s as a result of the opening of the Chinese Eastern Railway.⁹ Over the next fifty years, the city (and the entire Manchurian region) became a center of contest between three (or four) competing empires: the Soviets, the Japanese, and the Chinese — both communists and nationalists. 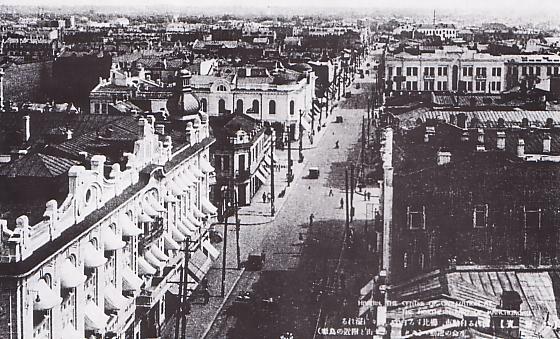 For eleven years, the BGC missionaries worked in contested Harbin, through the period retaining the label of “Russian Mission”; although the mission was now in Chinese territory, the enterprise still centered around the Russian people — nearly all refugees from Bolshevism. 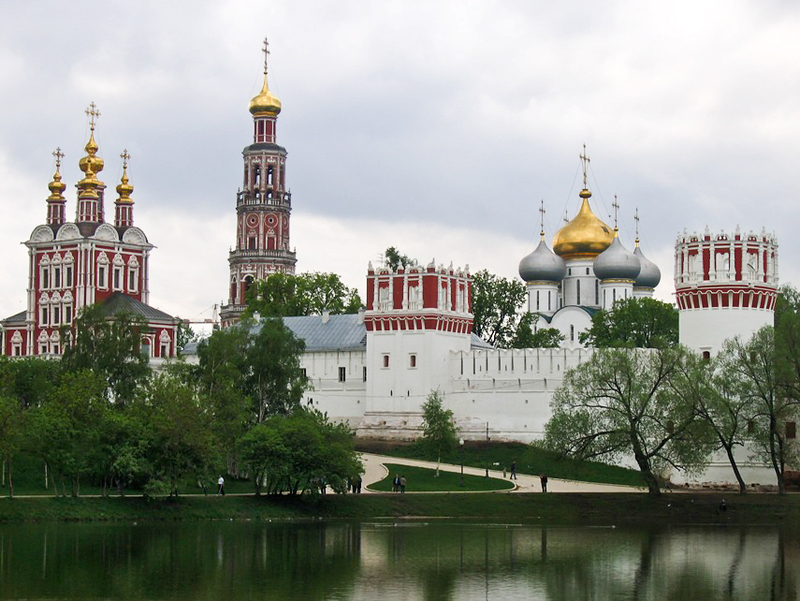 Within the year, the missionaries had revived a dying Russian Baptist Church which now saw a membership of more than three hundred. 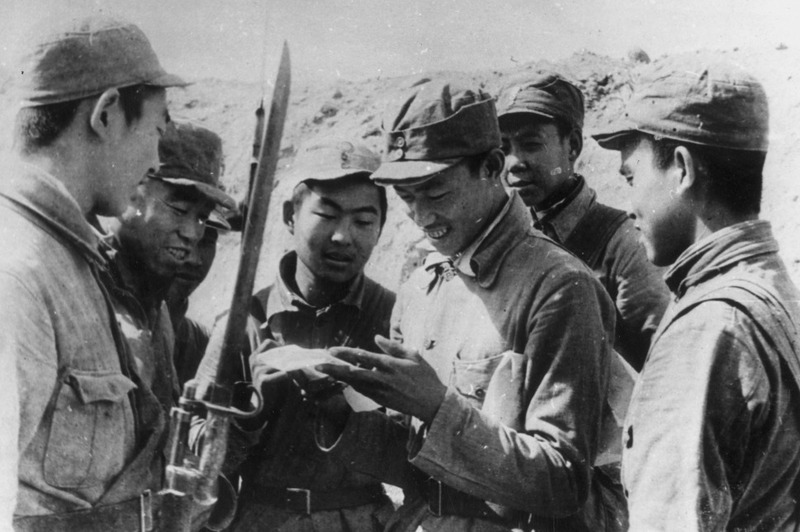 The narrative of Conference missions activity in Russia and China — fragmented as it is — suggests the first reason why the BGC resisted America’s wartime alliance with Stalinist Russia. Although broader American culture had been affected by the post-Great War red scare and the succeeding decades’ anticommunist rhetoric, the Conference’s longstanding interaction with actual communist opposition to missionary activity in Russia and China inculcated an appreciation for the reality of Stalin’s regime that went beyond what most Americans experienced between the Russian Revolution and the Second World War. Second, the Annual Reports and the Standard played very different roles in the Conference’s suite of publications. While the Standard regularly played host to inflammatory opinions, denunciations, and impassioned arguments, the Annuals assume, as a whole, a far more deliberate and subdued tone. It is only because the sources we have took little interest in polemical description that the record of BGC missionaries’ interactions with the rise of communism in Russia and China seem restrained in its comments. Because the Soviet regime’s atheism led it to suppress religion (notwithstanding Stalin’s wartime revitalization of the Russian Orthodox Church), the Conference could not allow even the existence of a wartime U.S.-Soviet alliance to blunt its criticisms of communist Russia. The continuing criticism of the Soviet Union during World War Two is thus a notable instance of the denomination standing against the temperament of broader American society. Irrespective of the American government’s policy preferences, the BGC’s allegiance was to a higher law. By 1947-48, the Baptist General Conference’s anti-communism was once again consonant with the mainstream of American political life. 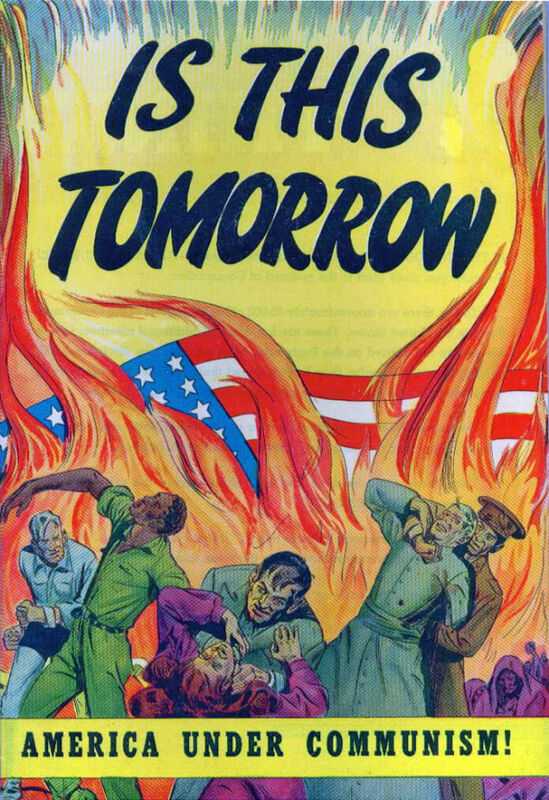 As the decade ended, three events sharpened American fears of communist expansion. 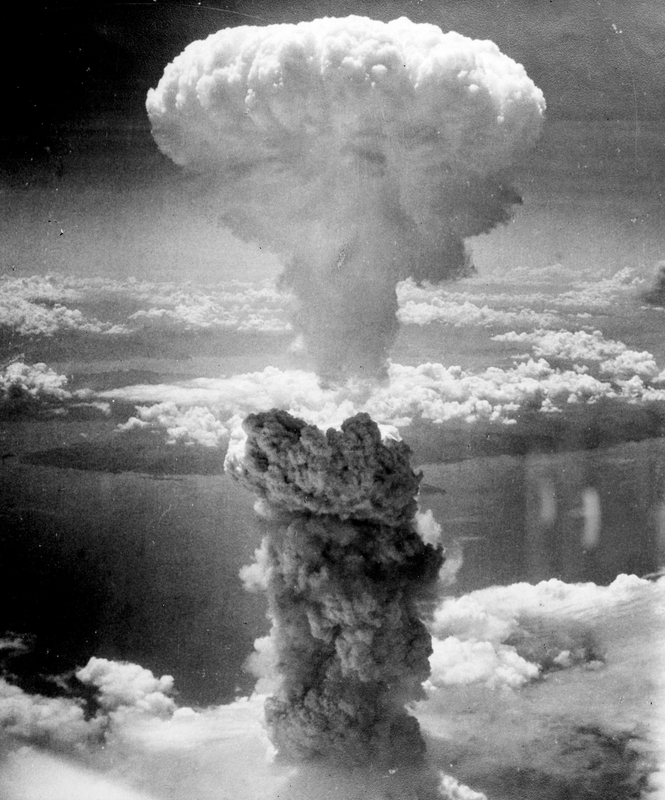 On 29 August 1949, the Soviet Union successfully tested its first atomic bomb. President Truman announced to the public that the USSR had acquired atomic technology at the end of September. 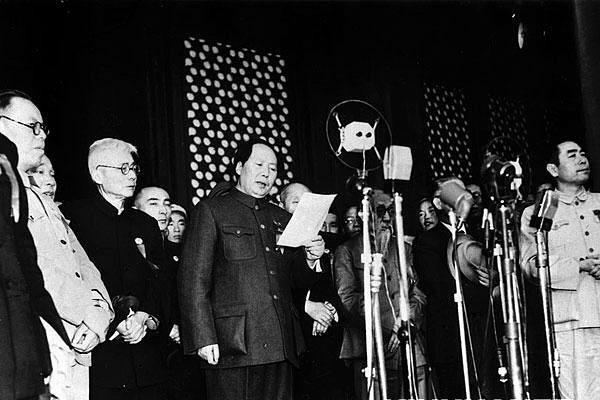 Then on 1 October, Mao Zedong declared the founding of the People’s Republic of China. 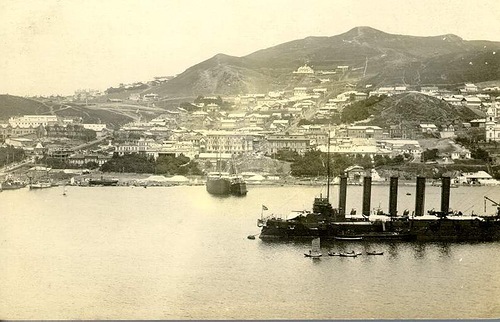 By May, fighting had collapsed and the remaining nationalist Chinese had retreated to the island of Taiwan. In the meantime, two sensational trials played out in the pages of America’s newspapers. In January 1950 Klaus Fuchs, a German-born theoretical physicist who had worked on the Manhattan project, confessed to passing atomic secrets to Soviet agents. 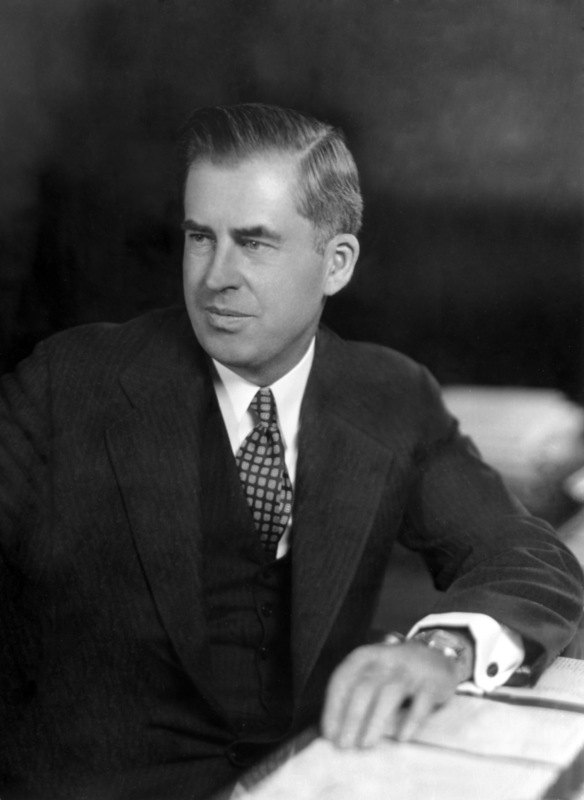 That same month, Alger Hiss, a former high ranking government official who had served at the Yalta Conference and on the United Nations, was convicted of perjury in the midst of accusations that he had been a member of the Communist Party USA and spied for the Soviets. On 9 February 1950, a little-known junior senator from Wisconsin, Joseph McCarthy, gave a speech to the Republican Women’s Club in Wheeling, West Virginia. Entitling his remarks “Enemies from Within,” McCarthy claimed he possessed a list of two hundred communist agents working within the State Department. Over the next four years, McCarthy beat the drum of anti-communism, utilizing the pre-existing House Committee on Un-American Activities to harass those he suspected of being communists. 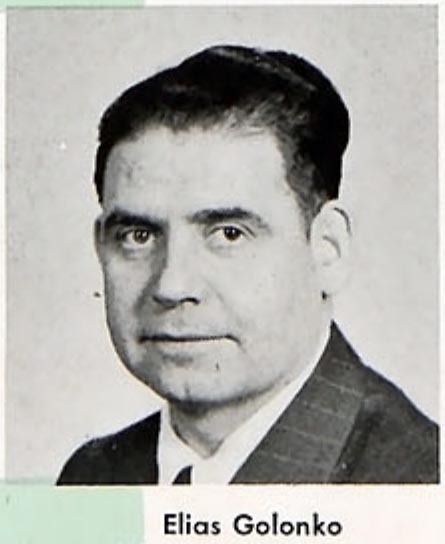 McCarthy proved the perfect spark for a firestorm of anti-communist fervor; although other social institutions were engaging in similar anti-communist activities (the University of California system, for example, required a loyalty pledge beginning in 1949), McCarthy positioned himself as the standardbearer of the movement. The BGC’s anti-communism during the McCarthy years (1950-54) was diminished from the regularity with which it was displayed in the pages of the Standard during the war. Even so, there is no sense that the denomination’s judgement of the Soviet Union had changed; only the frequency with which the subject was grappled slowed, likely a product of the decline of wartime passions.McCarthy’s embarrassment was compounded by the airing of CBS journalist Edward Murrow’s biting critique to national audiences. 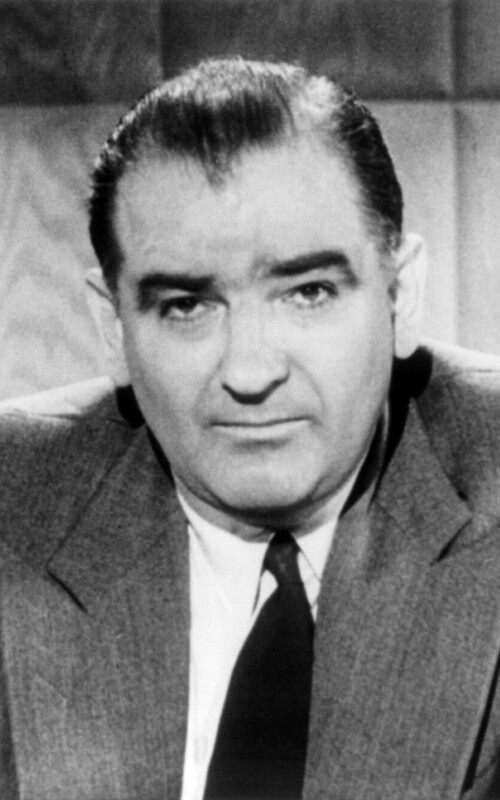 The apogee of the second Red Scare had come and by 1957 McCarthy was dead of a heart attack. Still, McCarthyism had an impact on the BGC, most visible in how the tone of anti-communist texts shifts. While retaining entirely the religious language previously used to critique the ideology, Conference writers began to adopt a more conspiracy-driven idiom, mirroring broader allegations of communist infiltration of American society. No longer is Bolshevism merely an atheistic ideology which enslaved millions of people somewhere over “there.” Now, communism threatened American life. The theater of contest, in other words, had moved across the ocean and settled in the backyard. To hush McCarthy’s uncomfortable messages, however, without making sure that other voices, clear but without irritation, will keep the nation alerted to dangers would be reckless. Eventful years in the past furnish examples of irreparable losses caused by carelessness, false tolerance, irresponsible politics. Mr. Wallace is partially right! This is a momentous period of history, and it seems certain that Communistic ideology can only be defeated by giving people something better than Communism. That something, however, is more than just dependence on the Sermon on the Mount. It is the “knowing” of its Author. That a Bethel College student would agree so openly with a candidate who was noted for refusing to disavow the endorsement of the Communist Party USA is telling. While the Bethel’s parent denomination rejected communism repeatedly and with increasing reliance on McCarthy-esque language, the college never appears to have been afflicted with a similar level of Cold War skittishness. 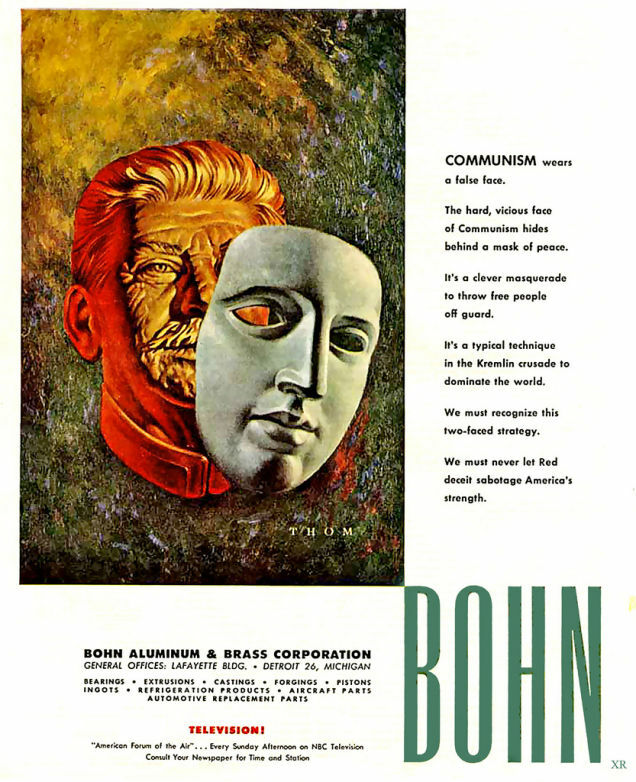 Communism was a topic which was engaged through a variety of outlets through the 1950s, but while the Conference tended to focus on the threat the ideology posed, the emphasis at Bethel (appropriately enough for an educational institution) was on educating and understanding. Of course, this hardly meant that Bethel was an enclave of American communism; such an assertion would be ludicrous. Although student writers in the Clarion tended to be less emotional in their criticism of communism than their parents and grandparents writing in the Standard, they were not more inclined to support the ideology. 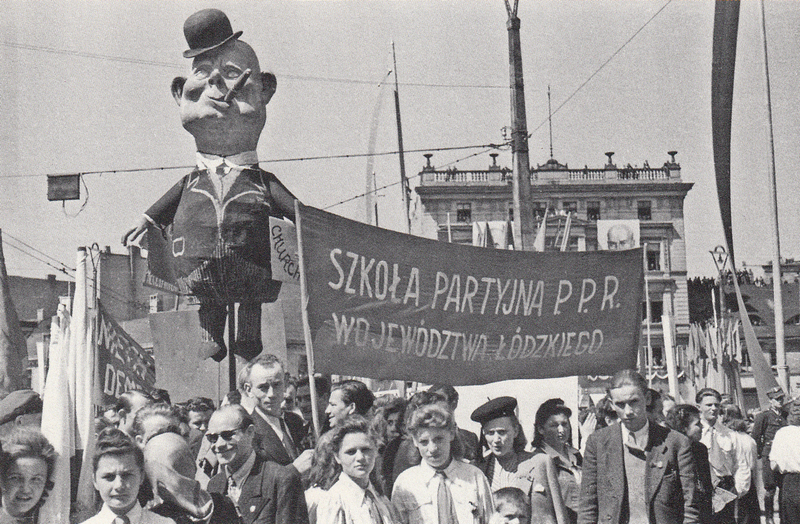 A slew of communist-related campus events during the 1949-50 and 1950-51 academic years testify to the interest the subject commanded on campus. In February 1950, a Quaker pacifist spoke on the subject of “Christianity vs. Communism”; in October, the Progressive Discussion Group (PDG) hosted debates on the issues of “unity among non-communist nations” and the question “Should communists be deprived of liberty in this country?” The conclusions of the latter were published in the Clarion of 27 October and are notable for the restraint each side displayed. The pro position — that communists ought to be deprived of liberty — concluded that the existing Smith and Espionage Acts were strong enough checks on communists and that the recently passed McCarran Internal Security bill would be ineffective (The McCarran act forced communist aligned organizations to register with the federal government, among other provisions). The con position concluded that communists were such a minority in this country that they posed little threat and should not be a cause for concern. 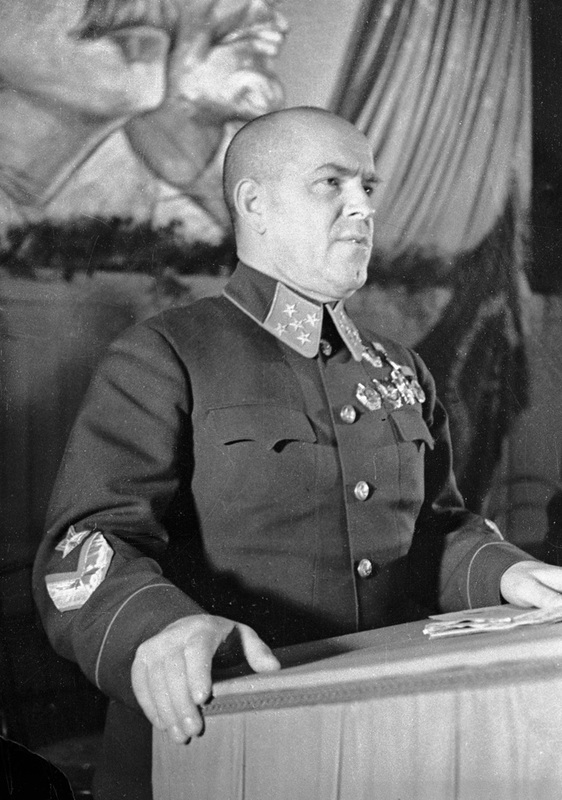 In December 1950, the PDG hosted Elias L. Golonko who spoke on “Communism in Russia and China.” Golonko, born in Russia and raised in Poland, served in the Polish army during the war and was captured by the Russians in 1939. Four months later, he was allowed into Germany — the result of the still-intact Nazi-Soviet nonaggression pact — to study at the Baptist Seminary in Hamburg. From the end of the war until 1950, Golonko served in various cities in East Germany and in the British and American zones. In February of 1950, he, his wife and two children came to Minnesota under the sponsorship of the Minneota Baptist Church where served as pastor while studying for his Bachelor of Divinity at Bethel. December was not the first time Golonko had spoken on campus; in October, he delivered a similar lecture to the German Club.¹⁷ Although it’s difficult to tell exactly what effect the presence of eyewitnesses to Soviet communism like Golonko had on Bethel students, it’s likely that the sobriety displayed in Bethel publications derives, in part, from these living witnesses. Shall authoritarian McCarthyism be embraced by those who claim to hold to the traditional Baptist beliefs on democracy? This question is very pertinent in light of the seeming uncritical acceptance in the past week of ultra-right wing crusaders, who in the disguise of fighting Communism have gnawed at the very roots of honesty and fair trial. It appears that some Christians believe that anything that is opposed to Communism is right, this is not only hard to substantiate from the point of logic by history has painted its grim regulation. Let’s be critical and not embrace all who claim to be of our fold or who would appeal to our nationalistic passions. 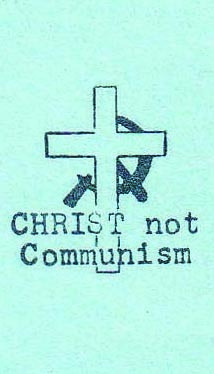 Baptist General Conference anti-communism continued into the 1960s and the Vietnam War era. Conference leadership consistently expressed a fairly restrained and mainstream brand of conservative anti-communism and American patriotism. Indeed, the Conference was quick to accept the domino theory and so supported President Johnson’s escalation of the war as a means of preventing the spread of communism throughout southeast Asia. Even so, Conference leadership came under occasional criticism from Carl McIntyre, a prominent and virulent anti-communist fundamentalist preacher. Conference leaderships’ error, it seemed, was its support of the governmentally-registered Baptist church in the Soviet Union and the denomination’s affiliation with the World Baptist Alliance. Such international ties, McIntyre argued, compromised the Conference’s stand against the influence of communism across the world and in American culture. On several occasions, McIntyre’s supporters picketed BGC meetings.¹⁸ Such protests had no apparent effect on BGC leadership, but it’s reasonable to assume at least some of the fundamentalist fringe within the Conference sympathized with McIntyre’s stand. Through the mid-century decades the occasional letter from an angry layperson would sneak into the pages of the Standard, testifying to the existence of small pockets of fundamentalism within the denomination. Such expressions, though, were clearly in the minority. Thus, while the Conference never exhibited the kind of virulent and extremist anti-communism some fundamentalist figures might have hoped for, it’s fair to characterize the denomination’s public stance as merely one of firm anti-communism. Second, China was clearly viewed by the Conference (perhaps rightly) as part of the global periphery. 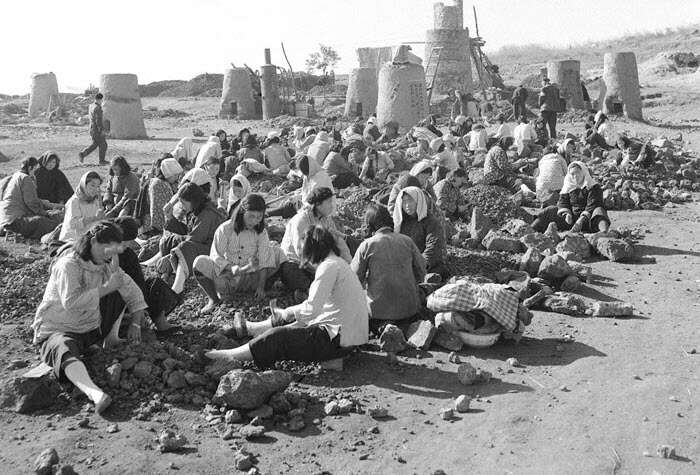 While Russia had modernized and industrialized rapidly in the first decades of the twentieth century, China in the 1950s was still overwhelmingly an agrarian economy with little heavy industry. 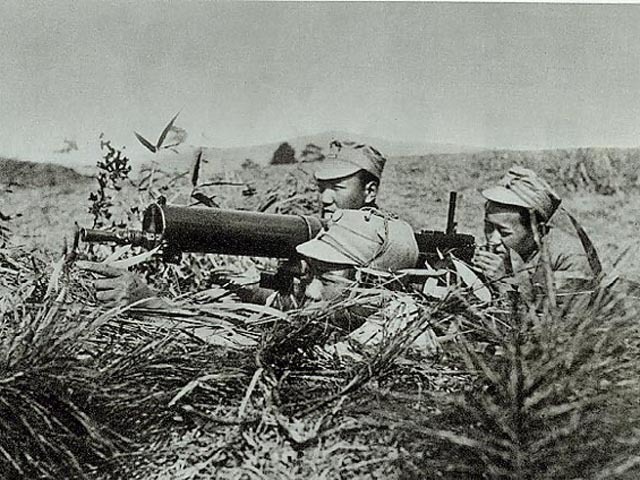 When Chinese soldiers invaded Korea in fall 1950, they did so largely armed with foreign-manufactured weapons. China too, was far from the European heartland — the true heartland of the Cold War. Finally, U.S. foreign policy clearly operated under a Russo-centric view of the world; the People’s Republic of China was not even afforded recognition or diplomatic relations until 1979. Such an attitude likely influenced how the BGC perceived the global Cold War. 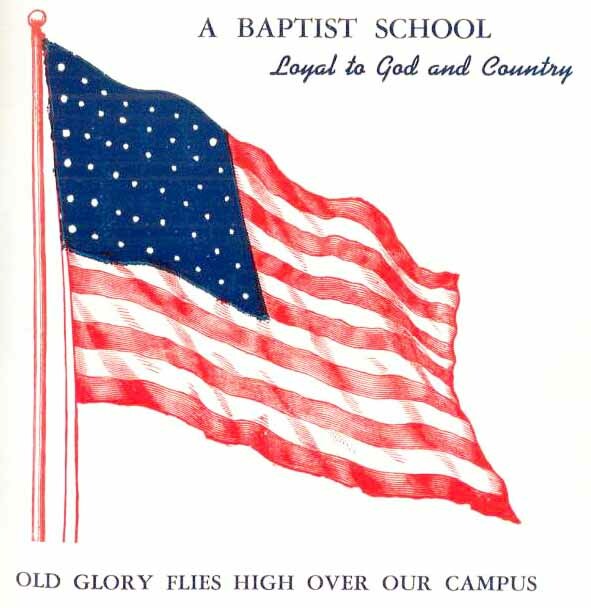 Bethel likewise continued its course through the 1950s and into the Vietnam era. Bethel students opposed communism for many of the same reasons the as the BGC (atheism, opposition to missionaries, threat to America, etc), but usually without the tinge of hysteria which could infect the Conference’s pronouncements. Education on the issue was the approach favored by most. Just as the Conference suffered sporadic attacks by a fundamentalist fringe, so too was Bethel harassed on occasion. We’ll close by way of looking briefly at a document compiled by Conference pastor John Ballentine in 1970. 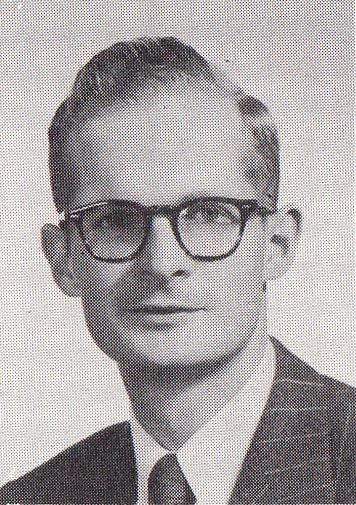 Sometime in 1970, Ballentine, a pastor at the Highland Park Baptist Church in St. Paul, commenced a two-day attack on alleged communist influences at Bethel College. 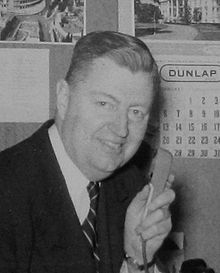 Broadcasting his lectures on local radio stations in Iowa and California — where, unfortunately for Bethel, a substantial number of Conference Baptists lived — Ballentine condemned President Lundquist for associating with Billy Graham (Graham was considered too accommodationist to liberal protestantism), for his affiliation with the National Association of Evangelicals (for the same reason), and for his allowance of a National Student Association presence on campus.²⁰ Bethel was also attacked for having shown a film sympathetic with Dr. Martin Luther King, Jr. Personally, I should like to see on the [University of Minnesota] campus one or two Communist professors, a student Communist Club, a chapter of the American Association for the Advancement of Atheism, a Society for the Promotion of Free Love, a League for Overthrow of Government by Jeffersonian Violence (LOGJV), an Anti-Automation League and perhaps, a Nudist Club. The conclusion readers should draw was obvious: through hosting such an odious man on campus, Bethel clearly endorsed nudism. ¹ Vladislav M. Zubok, A Failed Empire: The Soviet Union in the Cold War from Stalin to Gorbachev (Chapel Hill: University of North Carolina Press, 2007), 21. ² Harry S. Truman, Year of Decisions (Garden City, NY: Doubleday and Company, 1955), 416. 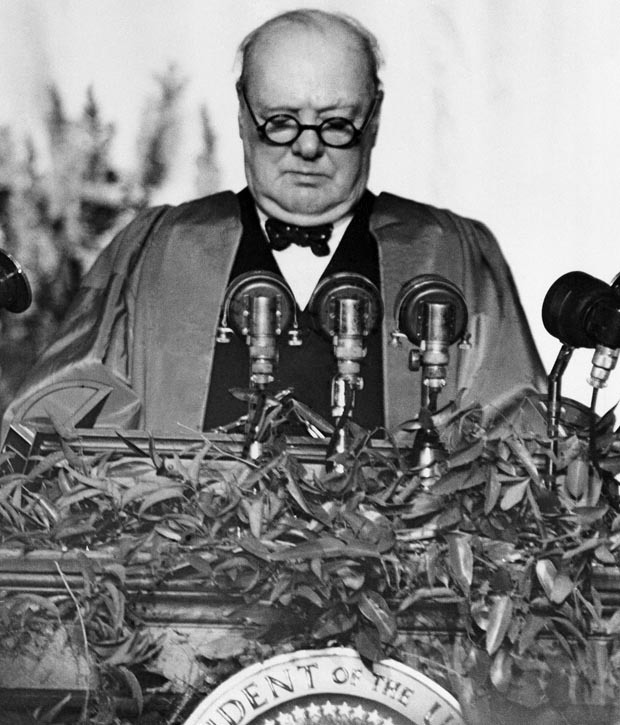 ³ Winston Churchill, Triumph and Tragedy (Boston: Houghton-Mifflin, 1953), 669-70. ⁴ Georgii Konstantinovich Zhukov, The Memoirs of Marshal Zhukov (New York City: Delacorte Press, 1971), 674-675. ⁵ Anne Applebaum, Iron Curtain: The Crushing of Eastern Europe, 1944-1956 (New York City: Doubleday, 2012), xxix. ⁶ The Standard, November 1, 1941. ⁷ The Standard, February 7, 1941. ⁹ Mara Moustafine, “The Harbin Connection: Russians from China Shen” In Beyond China: Migrating Identities, ed. Yuanfang and Penny Edwards (Australian National University, Canberra, 2002), 75-­87. ¹⁰ BGC Annual Report 1950, 54-5; BGC Annual Report 1951, 61; BGC Annual Report 1952, 59-66; BGC Annual Report 1953, 60-5. ¹¹ BGC Annual Report 1952, 64. ¹² The Standard, February 7, 1942. ¹³ Richard M. Fried, Nightmare in Red: The McCarthy Era in Perspective (Oxford, UK: Oxford University Press, 1990), 138. ¹⁴ The Standard, September 7, 1951. ¹⁵ The Standard, February 5, 1954. ¹⁶ The Standard, March 26, 1954. ¹⁷ The Standard, October 27, 1950. ¹⁸ Diana Magnuson and G. William Carlson, “Bethel College and Seminary,” in Five Decades of Growth and Change: The Baptist General Conference and Bethel College and Seminary, 1952-2002 (St. Paul, MN: The History Center, 2010), 47-8. ¹⁹ The Standard, July 9, 1962. ²⁰ Magnuson and Carlson, “Bethel College and Seminary,” 48.